A powered overseeder, otherwise know as a slit seeder, has the seed box located in front of a set of rotating blades that "cut" seed into the soil thereby improving the soil-to-seed contact and germination rate. 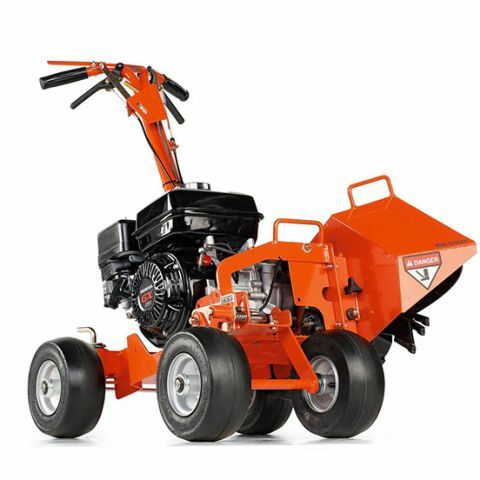 A powered overseeder requires much less seed than a traditional seed spreader because more of the seed is pushed into the ground instead of simply dropped on top of thatch or moss. Overseeding is most successful following aeration or de-thatching, or both as these processes help to create seed-to-soil contact. Overseed when conditions are good for germination and growth. This overseeder has the seed box located in front of the flails so the blade action can help "cut" seed into the soil thereby improving the soil-to-seed contact and germination rate. This configuration also requires less seed than do other machines because the seed is dropped into the soil, not the thatch. Oversseding can be done in the spring or fall. 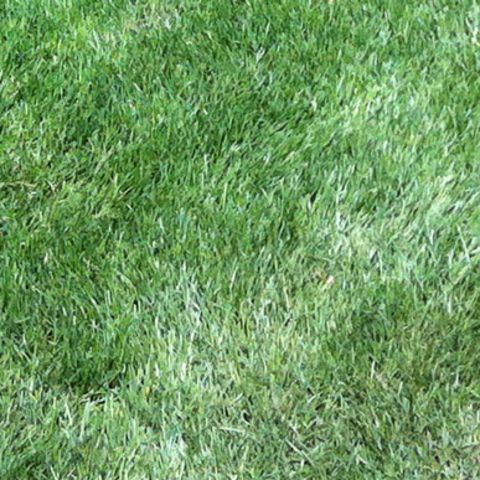 Late summer/early fall remains the optimum time for any overseeding because you avoid the summer heat and drought and the new seedlings do not have to compete with the spring germinating weeds. Do I apply seed right away? There are differences of opinion regarding seed distribution. One method is to use the slicing capability on the first pass, then engage the seed auto-drop system on the second pass. Others say to engage the auto-drop system on both passes, with the drop rate set at half the suggested application rate. How do I obtain the best results? Overseed in two passes at 1/2 the application rate for your selected seed in a crisscross pattern. (Drop rate settings are under the seed box lid.) Water heavily immediately, then lightly for 10 to 14 days, keeping soil moist. After germination, water less often to promote root growth. When is the best time to overseed? It is best to use your over seeder in the autumn when weed seed has difficulty germinating. 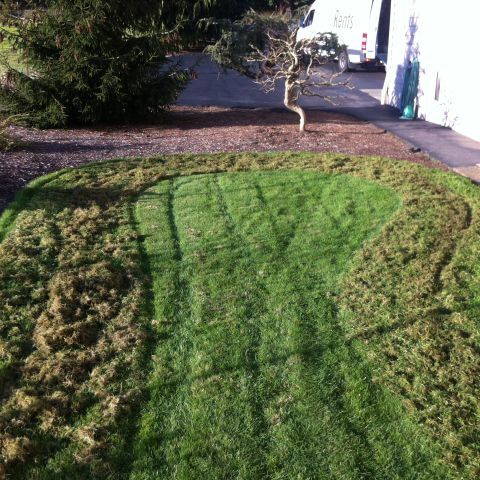 Warm days and cool nights with frequent watering produces the best results. 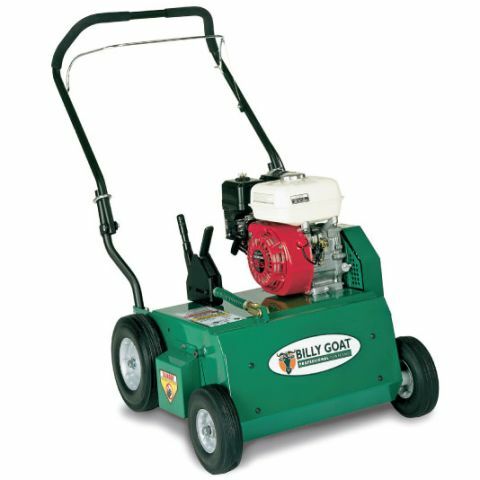 Aerate before you overseed -- a few weeks before you plan to overseed, rent a lawn aerator to "open" the soil to new growth. If you really want to do the job right, make this a process. First, rent a dethatcher, and rake away thatch remnants. Then mow the lawn to a short length. Then put the overseeder rental to work. 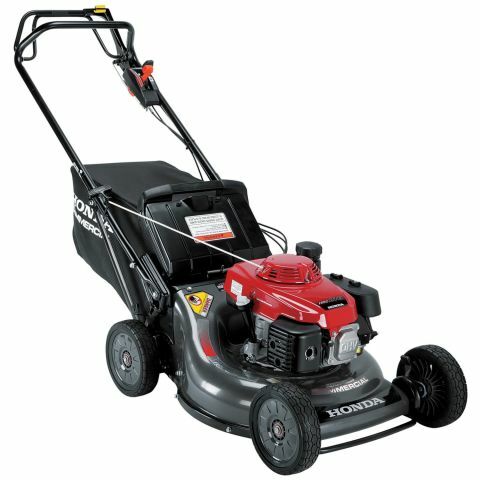 Mow your lawn at the lowest setting on your mower. 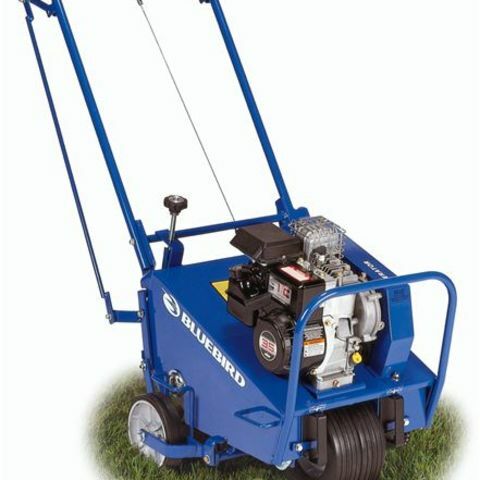 Power rake to remove thatch from the lawn. Do not to water prior to seeding. 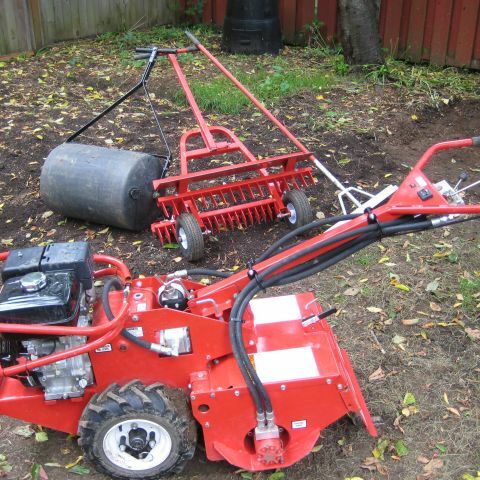 DO: Many people aerate their yards in the spring, then overseed in the fall. 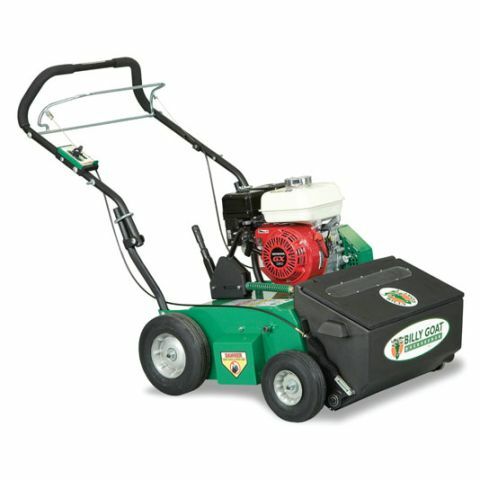 If you plan to compress that timeline, use the aerator rental at least few weeks before you apply the overseeder rental to open the soil to new growth. DO: Go over the lawn twice, criss-crossing the surface. On the first pass, just use the slicing capability. Engage the seed auto drop system on the second pass. DO: Water the overseeded area very liberally for two weeks or so. Once you're sure the seed has germinated, taper off. But not until then. DO: Water aggressively after aerating. Continue until it's clear that the seed is germinating, then taper off.